Over the past couple of months I’ve gotten it into my head that our house needs some sprucing. When I clean this room or that room, I’m noticing the wear and tear of the last 6 years here. You might remember I fought really hard for this house and then faced some serious set backs with it. 62 years… One Coat of Paint? Apart from these big things above, I’ve also painted a ton, we’ve put in raised bed gardens, fixed up the deck, and countless other projects. Even with all those efforts, when you neglect any one are for too long, it just gets worn out. I’m picking one room each month this year and giving it some love. I started with the dining room! 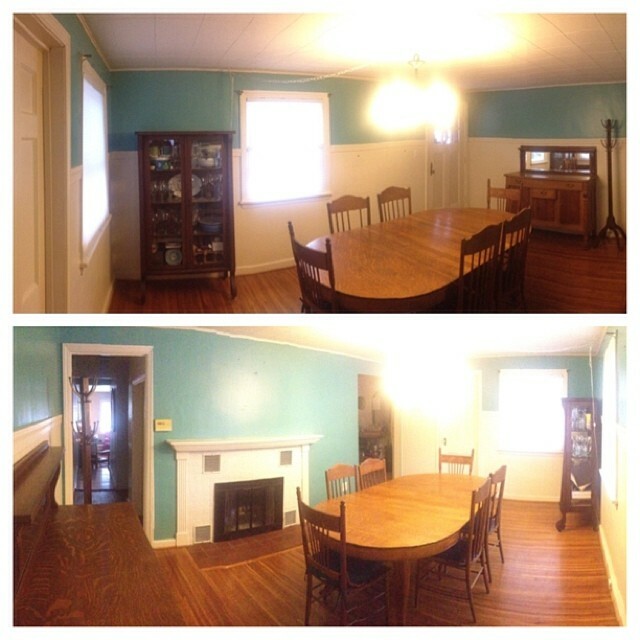 There wasn’t anything really wrong with the dining room, as is evident by the before photo above, but the ceiling has always needed to be painted and the bright Bayside Blue just wasn’t feeling right any more. The walls are all banged up and dingy, and the trim has never been painted. 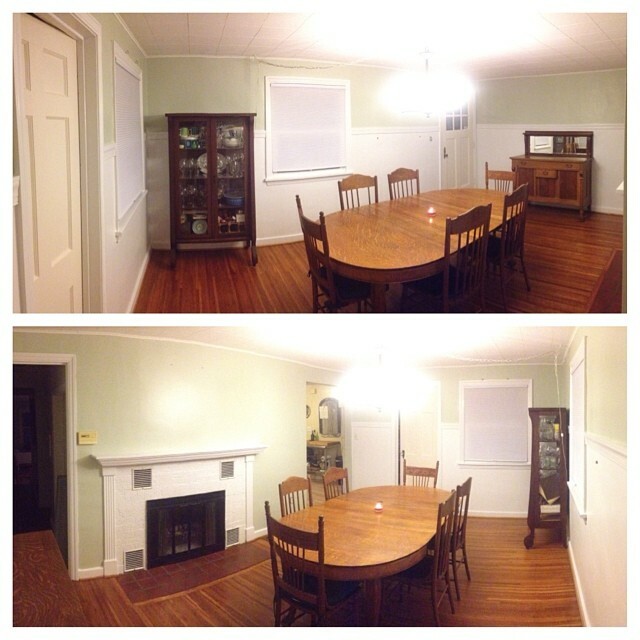 You can see what the dining room looked like the last time I dolled it up HERE. I decided to sit down at that very table and write a list for each room in the house, what I wanted to do to it, and I got to work. One weekend and I was able to cross off half my list! I couldn’t be more happy with the new paint color. I went with Lyndhurst Caledon Green. I went with classic white for the trim and the doors are antique white. There is still plenty more to do in here over the next couple weekends, but seeing this mini transformation has me totally psyched to get going on the rest of my ideas. After that, it will be spring and we have a HUGE project planned. You’ll just have to wait and see what that is.